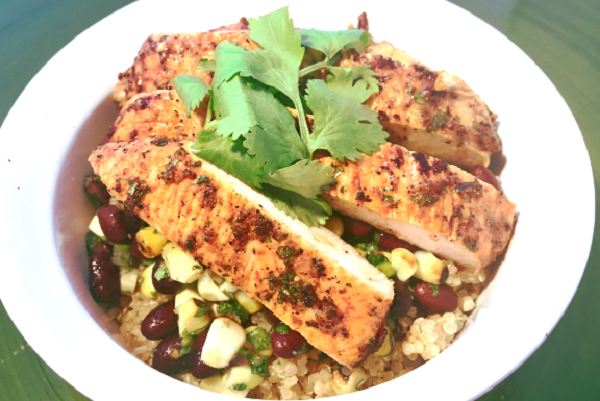 Fluffy warm, protein packed quinoa come together with the great flavors of a fajita marinated chicken, fresh roasted salsa and black beans. Light, healthy and nutritious. Marinate chicken 30 mins to 2 hours ahead of time. Grill chicken 5-6 mins per side until cooked through. Reheat quinoa and beans. Slice or cube chicken. 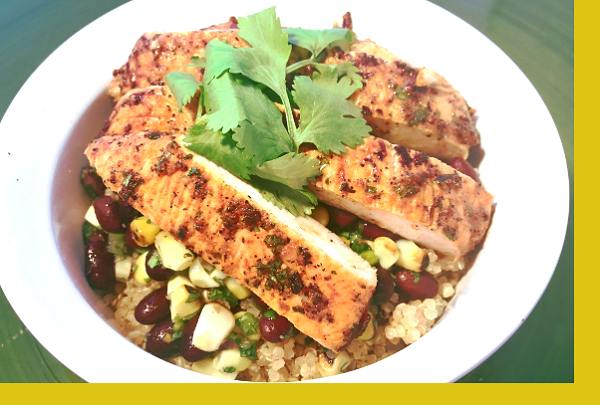 Place quinoa in your bowls first, add beans, salsa then chicken and serve. My husband and I just love this fajita marinated chicken, specially the fresh salsa and the black beans that come with it. Light, healthy, and good price. We never miss it!